Naim slashes the price of its UnitiQute to £995 | What Hi-Fi? It's been a busy time for Naim, with the release of its UnitiLite all-in-one system at the Milan Top Audio Show last week, and now it's cut the price of its Award-winning UnitiQute from £1425 to £995. That's for the standard 24-bit/96kHz model. If you want the higher-specced 24-bit/192kHz version, that's had its price dropped to £1395. The aim is to make both models more competitive following the launch of the UnitiLite at £1650 (or £1895 with the addition of a FM/DAB module). 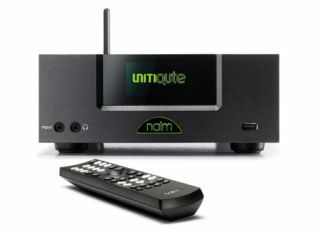 You can read our full review of the Naim UnitiQute, which was our System Product of the Year in 2010, and watch the video here.